First of all this deck is only strong if you know how to play Even Warlock. 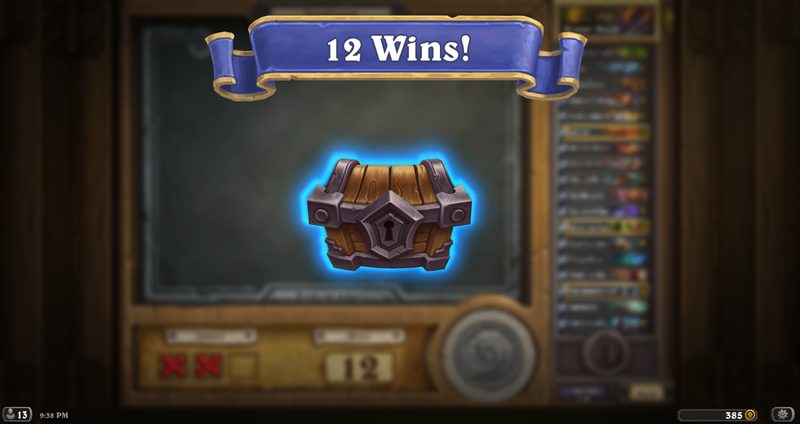 It won me 12 games in 2.5 hours. Every single card helped me getting 12 wins. I would not change any cards. Especially Black Knight was suprisingly op. I received 420 Gold and a Un‘Goro + RR Pack. Went 6-3 like I predicted haha I think that the deck is great and I love Evenlock! I would recommend this deck but I wonder if TogWaggle Druid is just the best hands down deck because of its end game. I lost to it xP but I think this is probably the safest deck to play because I did run into a few Zoolocks and I rekt them FeelsGoodMan Clap ! TY 4 SHARING THE DECK!!! All good man thank you for sharing haha Evenlock was great had a blast with the deck XD ! Good deck, but I think most people getting to it right now are gonna have a tough time getting 12 wins. It does great against other decks without the new cards, but the ones that do use new cards are having an easy time outplaying it. Is The Black Knight worth crafting? no, dont do it unless u have lots dust to spend. there are way more usefull legendaries u could craft. black knight is very specific counter...maybe if the meta becomes full of taunts, then it would be decent. Dont do it just for a Tavern Brawl though. Would twisting nether be fit in this deck? Why skulking geist what's so good about it in this meta? 0 rasta and 0 boomsd. When did Blizz decide to remove powercreep? 9-3, well balanced deck. Thank you. Skulking Geist and The Black Knight were extremely useful. I would suggest u git gud.